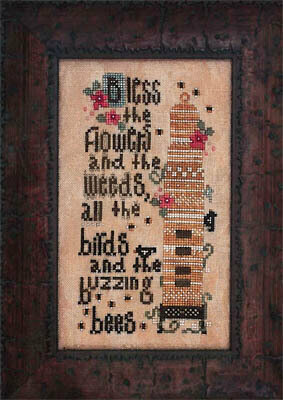 Model stitched on 40 Ct. Sheep's Straw Lien using Gentle Art Sampler Threads and Classic Colorworks (or all DMC 500/924, 310, 522/523, 833, 779, 3781/610, 3866). 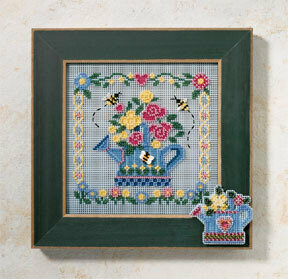 Stitch count is 133W x 110H. 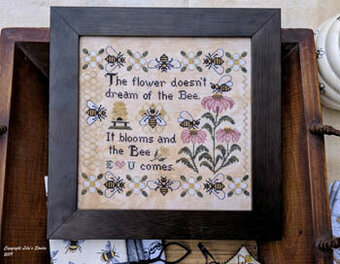 "the flower doesn't dream of the bee. 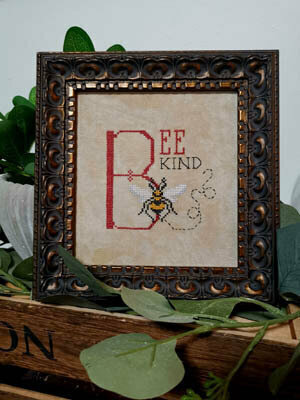 It blooms and the bee comes" Model stitched over 2 threads on 40 Ct. Doubloon linen with Weeks Dye Works floss (or DMC 310, 3820, 422, 936, 3722, 3865, 224, 613). 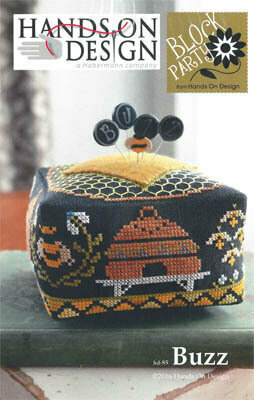 Stitch Count: 147W x 138H. 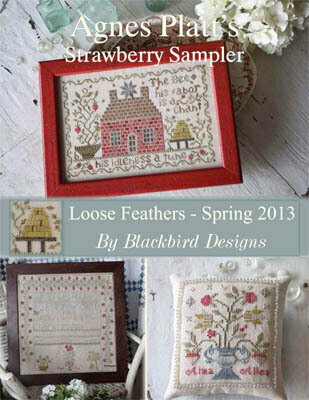 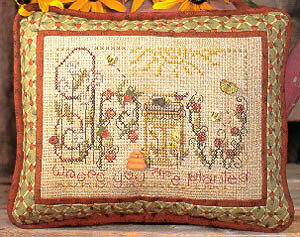 Model stitched on your choice of fabric using DMC floss and Rainbow Gallery Petite Treasure Braid. 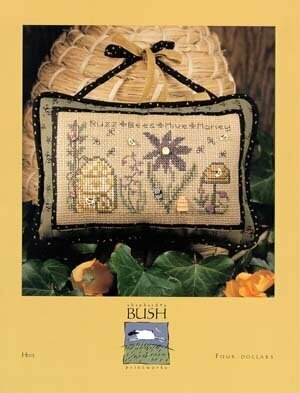 Stitch count is 97W x 37H. 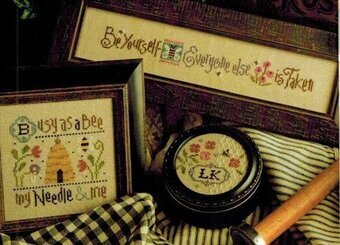 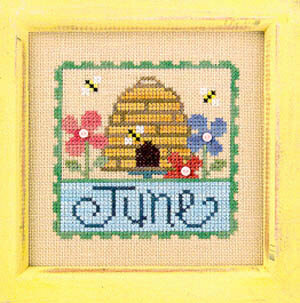 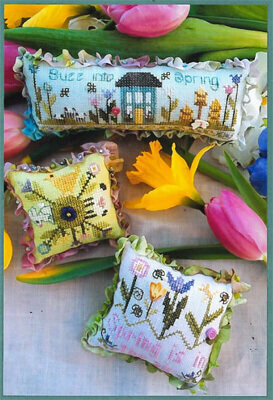 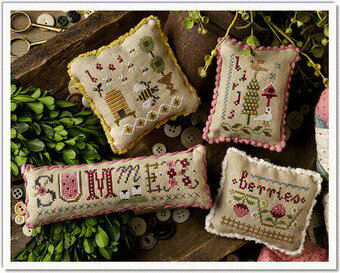 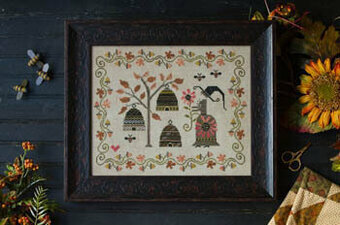 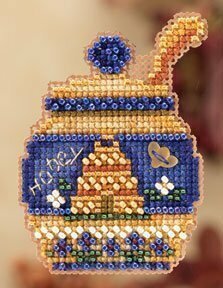 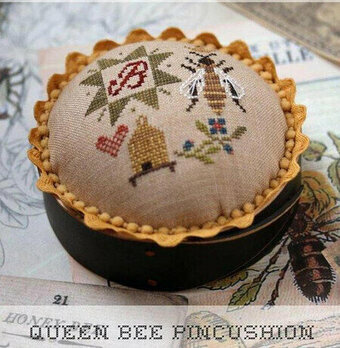 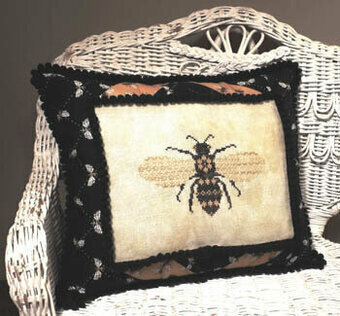 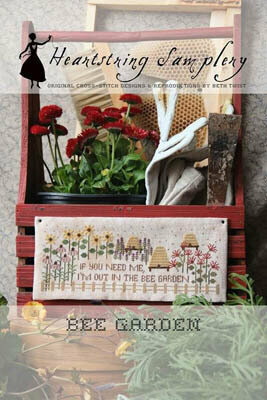 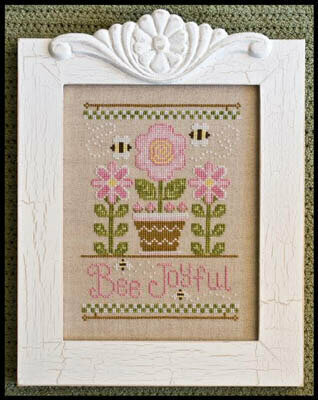 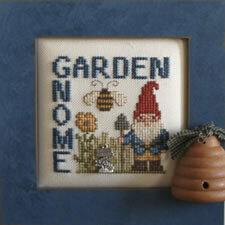 "Bee Kind" Model stitched on your choice of fabric using DMC floss and Rainbow Gallery Petite Treasure Braid. 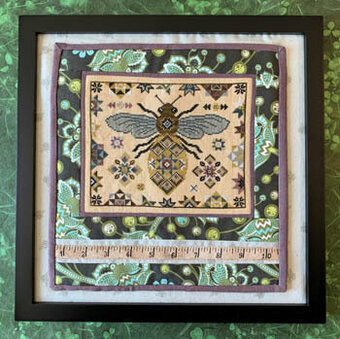 Stitch count is 60W x 56H. 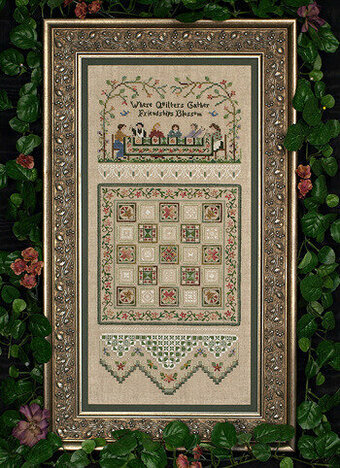 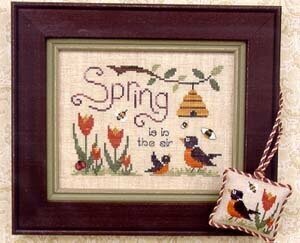 Model stitched over 2 threads with Needlepoint Inc Silks (or DMC 310, 729, 844, 739, 730, 3021, 975). 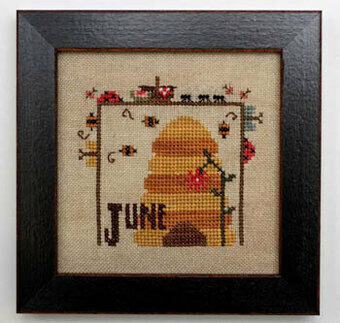 Stitch Count: 111W x 111H. 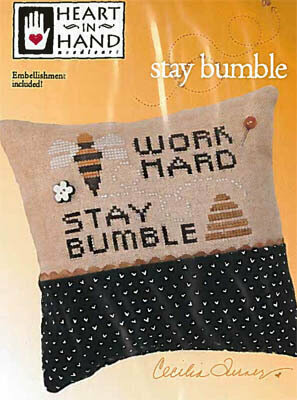 "Work Hard, Stay Humble" Model stitched over 2 threads on 36 Ct. Winter Brew linen with Classic Colorworks floss (or DMC 310, 420, 3033, 422). 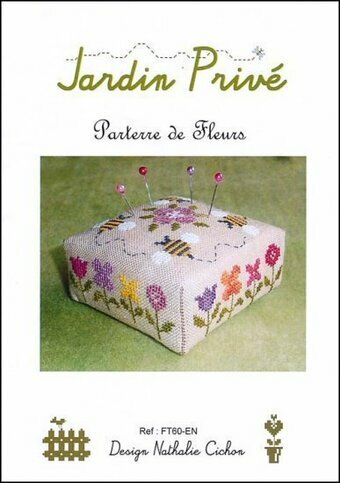 Comes with a flower button. 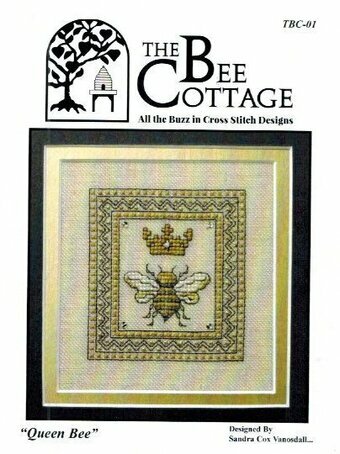 Stitch Count: 60W x 40H. 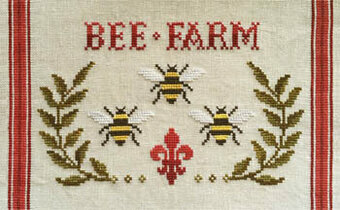 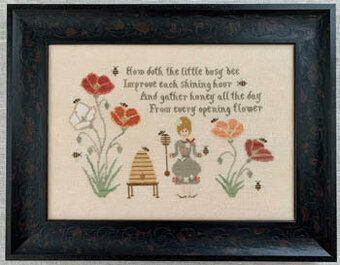 "How doth the little busy bee improve each shining hour and gather honey all the day from every opening flower." 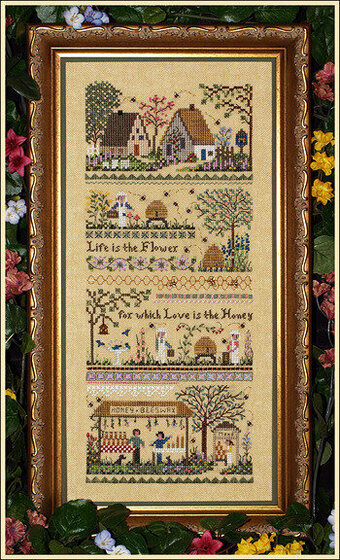 Model stitched on 40Ct Star Hollow Linen using Weeks Dye Works, Gentle Art Sampler Threads, and Classic Colorworks (or all DMC floss 3787, 3371, 3825, 920, 928, 869, 833, 347, 437, 434, 3721, 3822, 3778, 945, 471, 3859, 3023, 3866, 422). 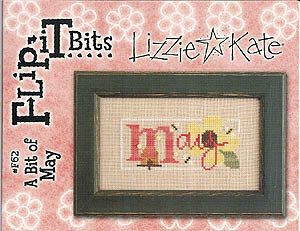 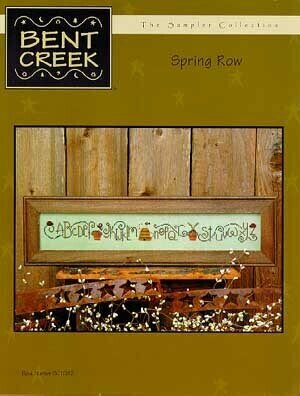 Also used but not listed above Magnolia Blossom from Classic Colorworks. 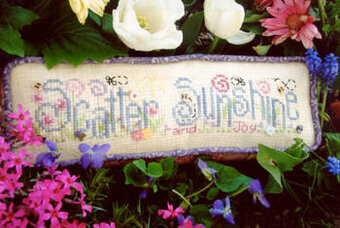 Stitch count is 192W x 127H. 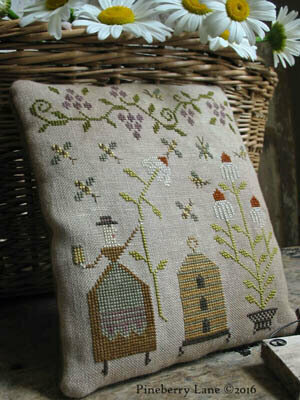 Model stitched over 2 threads on 36 Ct. Summer Khaki linen with Weeks Dye Works floss, Gentle Art Sampler threads and Classic Colorworks floss. 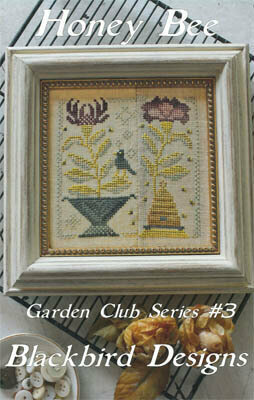 Stitch Count: 95x95. 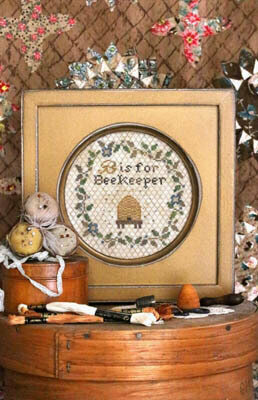 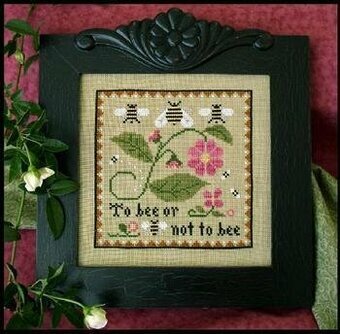 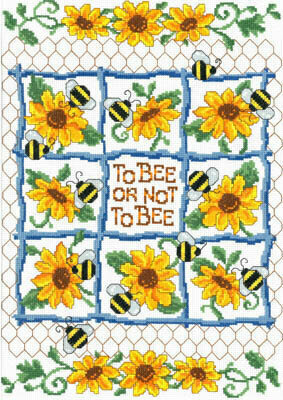 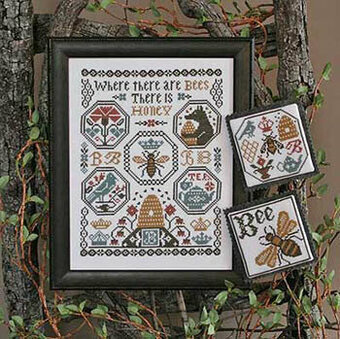 "To Bee or Not To Bee" Model stitched on 14 Ct. White aida using DMC floss. 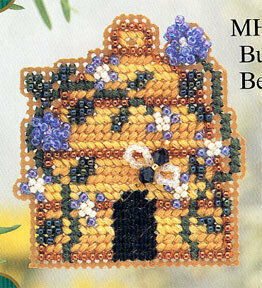 Stitch count is 146W x 204H. 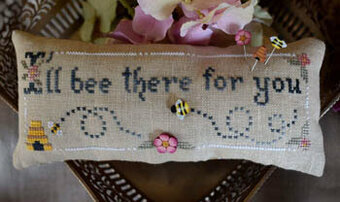 Model stitched on 28 Ct. lambswool linen with DMC floss and Mill Hill beads. 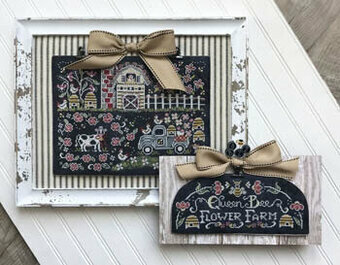 Comes with an embellishment pack that contains crystal-clear paillettes and a 2.5mm white pearl. 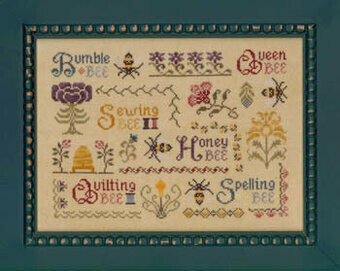 Stitch Count: 42W x 46H. 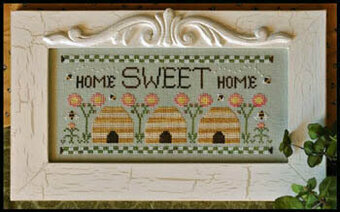 "Home Sweet Home". 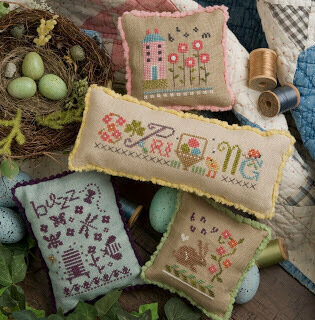 Model stitched on 28 Ct. Patina by Lakeside Linens with DMC floss, Crescent Colours, and Gentle Art Sampler threads (or all DMC 744, white, 899, 677, 729, 3031, 3347). 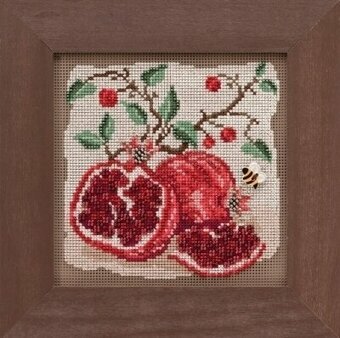 Stitch Count: 127W x 57H. 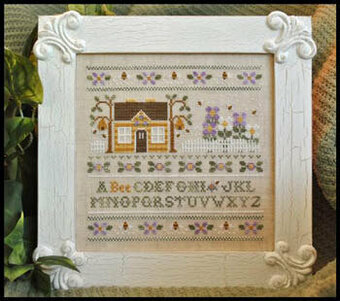 Shown in a frame from The Family Tree - Style: Kitty, Finish: Fleamarket, Color: Icing, Size: 10" x 5". 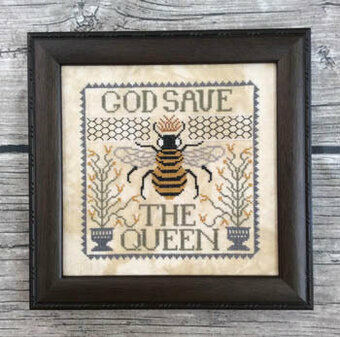 Model stitched on 32 count Lambswool linen using DMC, Classic Colorworks and Weeks Dye Works (or all DMC 420, 676, 729, 209, 3364, 610, White). 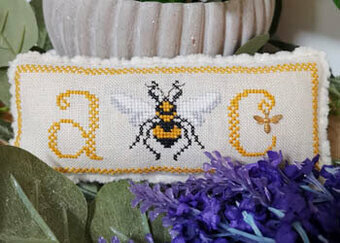 Stitch count: 115W x 115H. 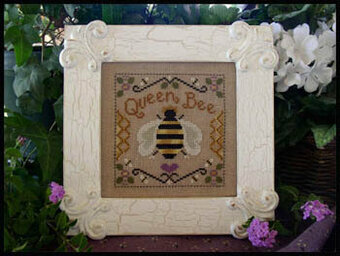 Shown finished in a Family Tree Frame - Style: Michelle, Finish: Fleamarket, Color: Icing, Size: 8 1/2 x 8 1/2.